Scleroderma, also known as systemic sclerosis, is a chronic systemic autoimmune disease characterised by hardening (sclero) of the skin (derma). In the more severe form, it also affects internal organs. 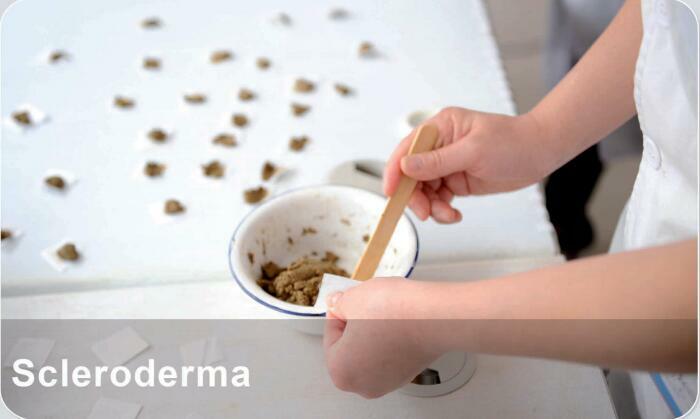 Limited scleroderma involves cutaneous manifestations that mainly affect the hands, arms and face. Diffuse scleroderma is rapidly progressing and affects a large area of the skin and one or more internal organs.